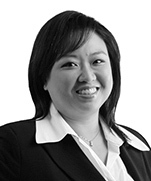 Jacqueline Loke is a senior partner in Dentons Rodyk's Corporate practice. Her areas of practice include corporate finance and securities law, mergers and acquisitions, unit trust and asset management, regulatory matters and corporate governance. Jacqueline has extensive experience in compliance issues and regularly provides regulatory advice to various organisations in the public and private sectors. She advises clients on regulatory compliance, particularly on regulations in the financial industry - Securities and Futures Act, Financial Advisers Act, Banking Act, Insurance Act and related requirements and guidelines issued by the Monetary Authority of Singapore. She has advised on the establishment of the scripless trading system implemented by the then Stock Exchange of Singapore Limited, and the Public Utilities Board on the choice and implementation of the regulatory regime for the establishment of district cooling systems in Singapore, and provided advice to the regulatory authorities on aspects of regulation in the electricity and gas industries in Singapore. She has also advised the Energy Market Authority on the drafting and implementation of the Gas Codes. Her experience in corporate governance includes advising on compliance with statutory duties and obligations, best practices codes and guidelines. She has advised corporate clients generally in all aspects of their business, including commercial agreements, employment issues and management obligations. She has acted for listed companies on compliance with listing requirements and corporate governance. Jacqueline has acted for medical institutions and individuals in relation to regulatory matters, joint ventures, investment and shareholder agreements. In relation to collective investment schemes and asset management, she has advised on Singapore unit trust schemes encompassing single, feeder, umbrella, capital guaranteed, capital protected structures as well as offshore funds, advising both manager and trustee. She was also adviser to the investment arm of Yayasan Mendaki in the establishment of the first Islamic unit trust scheme in Singapore, followed by a second, both promoted by Mendaki Holdings Pte Ltd.
Jacqueline advises corporations, investment bankers, underwriters and placement agents on corporate finance & securities law and on the raising of finance through the issue of securities. She has advised on compliance with the listing rules of the Singapore Stock Exchange and the Takeover Code. She acted for the first listing of a Singapore-incorporated company on the Australian Stock Exchange and related cross border legal and regulatory issues and advised on the first Islamic unit trust scheme in Singapore. Jacqueline is well versed in M&As and joint ventures where she has acted for vendors, acquirors and financiers across a wide spectrum of industries including the insurance, financial, manufacturing, real estate and technology industries. Jacqueline has given talks and written papers on licensing and client due diligence requirements for fund managers, establishment and offerings of collective investment schemes and other securities in Singapore, and the regulatory aspects of Real Estate Investment Trusts (REITs), securities regulations in Singapore and other regulatory and compliance matters. Japanese Bank: Advising bank on compliance with regulatory changes. Marubeni Asean Pte. Ltd.: Advising on regulations applicable to reinsurance business. Norddeutsche Landesbank: Advising Nord/LB on regulatory aspects for a new product offering. HL Bank: Acting for HL Bank in the acquisition from National Australia Bank Limited of a portfolio of property and term loans granted to medical practitioners and medical and dental clinics in Singapore (“Portfolio”). The Portfolio was transferred pursuant to Section 55C of the Banking Act and required the approval by the Monetary Authority of Singapore and the High Court. The matter involved extensive due diligence to ensure that all loan and security documents were properly executed, and that they were legally binding and enforceable, including carrying out and reviewing title searches on all properties, borrowers and security providers. Confidential client: Advising international bank on regulatory considerations for the entry into new business under the Securities and Futures Act, Financial Advisers Act and related regulations. Bank of New Zealand: Advising Bank of New Zealand on the closure of their Singapore banking operations, assisted with their submissions to the Monetary Authority of Singapore and the transfer of the business to National Australia Bank via a court sanctioned scheme under the Banking Act. Confidential client: Advising an international bank on regulatory considerations relevant to the restructuring of their banking operations in Singapore, and assisted on related documentation. Confidential client: Advising an European bank on regulatory considerations relevant to the proposed establishment of various aspects of banking and other financial services in Singapore. Confidential client: Advising overseas fund manager on regulatory considerations relevant to proposed distribution of their products through a related bank in Singapore. Confidential client: Assisting international bank with redrafting of their account terms and conditions for Singapore customers. Various clients: Advising banks on application of banking secrecy provisions. Various clients: Advising banks on application of notices, guidelines and circulars issued by the Monetary Authority of Singapore, including application of lending limits and single customer exposure limits, anti-money laundering and ‘know-your-client’ requirements and considerations, outsourcing requirements etc. Various clients: Assisting in the establishment of merchant banks. Confidential client: Advising fund manager on and assisted with obtaining recognition of restricted fund for distribution in Singapore. Confidential client: Advising and assisted an Indian securities company on securities regulations applicable to their business and assisted them in preparing and liaising with the Monetary Authority of Singapore in their application for and procuring exempt financial adviser status. Various clients: Advising various banks and other financial institutions on regulatory and business conduct considerations, under legislation, regulations, notices, guidelines, circulars and practice notes issued by the Monetary Authority of Singapore relevant to various aspects of financial activity. Various clients: Advising various financial institutions on marketing of funds and compliance with offering requirements under securities regulations. Various clients: Advising various entities on money-lending laws and regulations. Confidential client: Advising a major foreign insurer on the regulatory aspects involved in the commencement of an insurance business in Singapore. Confidential client: Advising a major international reinsurer on regulatory issues relating to the conduct of reinsurance business in Singapore. Various clients: Advising on licensing of insurance companies and compliance with Singapore insurance laws and regulations. Confidential client: Advising on a voluntary scheme for the transfer of an insurance business. Various clients: Advising on issues associated with arrangements affecting control of registered insurers in Singapore, control of substantial shareholdings of insurers incorporated in Singapore, and obtaining consent from the Monetary Authority of Singapore. Confidential client: Advising Singapore insurance entity on the run-off of their Singapore insurance portfolio via a court sanctioned scheme. Confidential client: Advising international insurance group on regulatory considerations applicable to the proposed transfer of their Singapore subsidiary’s insurance portfolio to another entity. 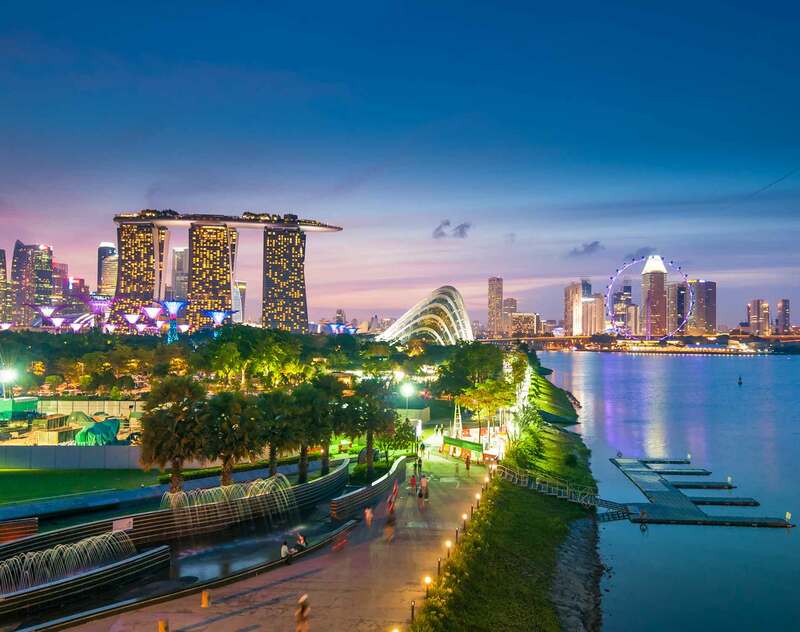 AmWINS Group: Advising on change of control regulations applicable to their indirect acquisition of interest in a Singapore insurance broker, and assisted with their application to the Monetary Authority of Singapore for consent. Tuan Sing Holdings Limited, a company listed on the Mainboard of the Singapore Exchange Securities Trading Limited: Acting in acquisition of the entire issued capital of Robinson Point Limited, which holds the entire issued and paid up capital of 39 Robinson Road Pte Ltd. 39 Robinson Road Pte Ltd was the registered, legal and beneficial owner of the property known as Robinson Point located within the Central Business District of Singapore at 39 Robinson Road. The consideration was approximately S$348 million. Vendors: Acting in respect of the sale of the 241-room hotel IBIS Novena for a transaction value of S$118 million. The IBIS Novena is a 3-star hotel located along Balestier Road comprising 241 guest rooms. It opened in April 2011 and is believed to be Singapore's second international economy hotel. The sale and purchase agreement was signed on 23 May 2011 and completion is expected to take place in early July 2011. It is believed that the IBIS Novena will be included in the assets to be listed in the hospitality REIT sponsored by the Purchaser in the second half of 2011. Confidential client: Acting in connection with the corporate aspects of the transaction in the divestment of the whole of its indirect interest in an investment holding company which held four dormitories in Jalan Papan, Woodlands, Kian Teck and Tampines in Singapore. The transaction price for the divestment, which included the sale also of the remaining minority interests, was in the region of about S$380 million. Confidential client: Acting in connection with the transaction in the share sale & purchase for the purchaser who incorporated a fund for the acquisition of One Finlayson Green at a purchase price of S$145 million. Asdew Acquisitions Pte Ltd: Acting in acquisition of the Citadel Investment Group's 75% share capital in Grange Properties Pte Ltd at a confidential purchase price. Grange Properties is developing Grange Infinite, a 68-unit freehold condominium development, in Orchard Road. AIG: Acting as Singapore counsel, advising it on Singapore regulatory and competition issues relating to the proposed sale of its Asian life insurance arm to Britain's Prudential for S$50 billion. Previously advised AIG on regulatory issues relating to its exit from the Federal Reserve funding. Overseas Union Enterprise (OUE): Acting in the sale of the property formerly known as The Parisian located at 21 Angullia Park, via the sale of OUE's subsidiary OUE (Angullia) Pte Ltd to China Sonangol Land at the purchase price of S$283 million. Dentons Rodyk also acted in the discharge of the liabilities of OUE, OUE (Angullia) Pte Ltd and Angullia Development Pte Ltd, and the related restructuring with Standard Chartered Bank. Lenders: Representing client to the Marubeni Consortium comprising Kansai Electric, Kysushu Electric Power, Japan Bank of International Co-operation and GDF Suez in the S$2.9 billion acquisition financing and JPY67 billion repowering of Senoko Power. Senoko Power is Singapore's largest power generation and retail company and is the second of the three power generation units that Temasek intends to divest as part of efforts to privatise the power industry in Singapore. This deal won the Singapore M&A Deal of the Year and was finalist for the Singapore Deal of the Year at the ALB SE Asia 2009 Law Awards. Pokka Corporation: Acting in the delisting and privatisation of its Singapore subsidiary, involving a general offer for all the publicly held shares and compulsory acquisition of remaining shares not acquired under the general offer. Clipper Group, one of the major global players in shipping: Advising on attaining the Approved International Shipping Enterprise (AIS) scheme status in Singapore and achieving tax exempt status through the Maritime & Port Authority of Singapore and the Inland Revenue Authority of Singapore. The lenders National Australia Bank Limited and Commonwealth Bank of Australia: Acting in a S$128.8 million term loan to finance MacarthurCook Industrial REIT's acquisition of an initial portfolio of 12 industrial properties and subsequent acquisitions. The Managers, Joint Lead Underwriters and Joint Lead Placements Agents: Acting in the listing of AA Group Holdings. HTL International Holdings Limited: Acting in connection with the transaction for Singaporean sofa manufacturer and leather tanner in its S$38.3 million acquisition of German upmarket furnishing solutions franchisor Domicil Moebel.